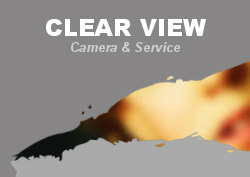 years of experience in repairing camcorders and video cameras. the battery/ AC Adapter for 30 seconds and then reinstal it. the problem is a minor one or there is a software glitch. components. Even that may be too late,but it worth the try. 3) Never leave any electronic equipment in a hot car in summer. unit and cause costly problems. un plugging to the computer's ports such as DV(fire wire),USB, HDMI. Damage to interface chips could be difficult to repair and expensive. I am getting more units in with these kinds of problems lately. success is not impressive !! 6) Newer model camcorders and digital cameras have built in charging cicuitry. surge could damage the main board. again a costly repair.